I'm always amazed at other people's craftiness. You'd think that, since I am also a card carrying member of the "crafty crew", nothing handmade would amaze me. I know a lot of crafty folks who probably wouldn't be amazed because if given the chance, they'd claim that they "could do that too". But I'm amazed about the fact that this perfectly crafted little basket was handmade. If I did not know that someone made this with their own two hands I'd have assumed that it was produced by a machine. 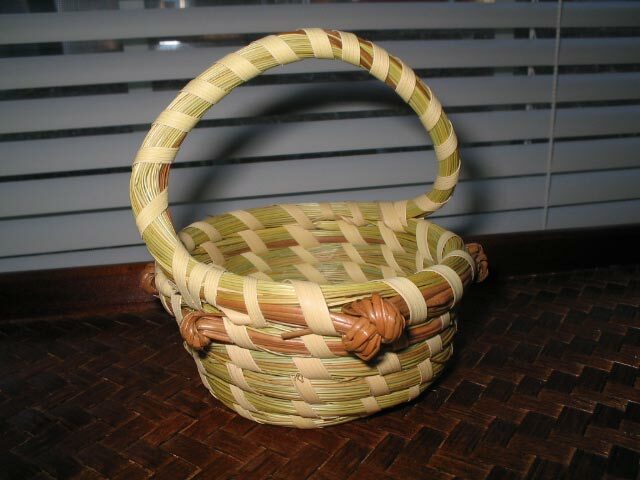 I bought this little sweetgrass basket at the North Carolina State Fair a week or so ago from a woman who lives in South Carolina. It sold for $10. The one I really wanted sold for 50 bucks. It was pretty much a larger version of this one. That dramatic "swirly curve" in the handle is the reason I bought it. Capturing the drama of the curve was a little difficult, but you can see it a little better in this picture. 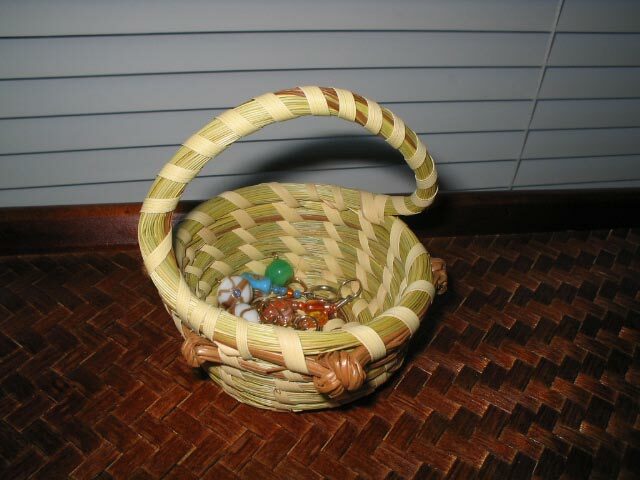 I thought that it would be a great place for me to store some of my favorite stitch markers.